Please call us on 01622 522110 with any questions about our ethical views. 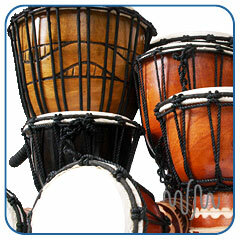 World Rhythm Percussion supports and promotes fair trade principles in all aspects of the business. This starts with the international sourcing of products and follows through to the retail and wholesale distribution of the product in the UK and the rest of the world. 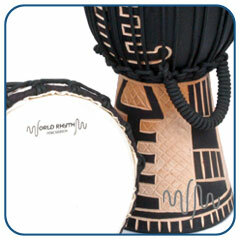 World Rhythm Percussion only sources products from local artists, communities and craftsmen. We take an active interest in the local community and economy of these craftsmen and we strive to understand the issues that affect the craftsmen’s lives. We have achieved this by investing time in the local communities, which has resulted in a number of our team becoming fluent in key languages. In addition to this, one of our UK team originates from Indonesia, a country that we source many products from. Producers are found that represent the five main religions and both male and female craftsmen are employed through the various stages of the production process. This helps to further maintain a social balance in these areas. World Rhythm Percussion works with the Artists and Craftsmen to develop new products for future lines thus sustaining future business. We allow the Producers to dictate prices and will ensure that these prices are above local averages. In return we demand high quality products and an attention to detail that surpasses products that are made under factory or other mass-production conditions. This rewards the high quality craftsmen and encourages other importers to work with the high quality artists above other producers. We will provide the producers with business advice when needed to assist them in trading with western companies and ensure that they receive similar fair trade conditions from other importers. World Rhythm Percussion believes that education is critical to any community. As such child labour is not tolerated. We do howeverencourage the part-time training of older youths. We insist that these trainees remain in education and that they receive a full wage for the time that they spend working. This will ensure that they have a career to follow upon leaving school (if they choose to do so) and will help to sustain the community for successive generations. World Rhythm Percussion visits the producers that we work with at least once a year to inspect production conditions and to maintain personal relationships with the craftsmen. We also have a manager on the ground, year round, to oversee the production process and communicate any issues that may arise to our UK headquarters. World Rhythm Percussion demands that all raw materials are sustainable and legal. No poached or endangered woods are to be used. We will regularly inspect legal documents to ensure that these laws are not breached and that the provenance of the raw materials can be shown. No toxic or harmful materials are to be used in the production process and any waste created must be disposed of in an ecologically sound manner. All shipping materials should be recyclable. World Rhythm Percussion will take immediate action to discuss any breach of these principles by the producers. We will expect immediate rectification of any breach and will also expect a report of the issue from our Local Manager as well as assurance that all parties involved understand the significance of the breach. Any serious breach of these principles will raise serious questions regarding future business relationships. If an issue is not resolved in a satisfactory manner then we will cease trading with this supplier. World Rhythm Percussion supports and markets fair trade principles during all distribution exercises. We will educate our customers and other businesses about the benefits of fair trade and the communities that we work with. We attend a number of fair trade events. We also market our products through our ecommerce website and other fair trade related sites.